YVONNE ZWANE, throughout her life and corporate career selflessly served our nation with distinction. Her string of professional achievements in the corporate and public banking sectors made her a respected leader in the financial services industry. She was described as a strategic thinker with a passion for development and clean governance. 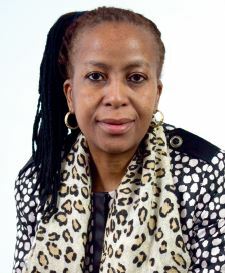 Zwane's appointment as Ithala Development Finance Corporation's first female Group Chief Executive in November 2011, marked a significant turning point in the history of the KwaZulu-Natal development agency. Before joining Ithala Development Finance Corporation (Ithala), Zwane had worked for the First National Bank Public Sector Banking, where she held the position of chief executive officer and provided strategic direction to her team. Preceding this position she served as First National Bank's Provincial Director, managing a budget of R20 billion to drive their banking strategy in KwaZulu-Natal. Her extensive expertise in retail, commercial, risk management, credit, insolvent estates and corporate banking held her in good stead as she surged ahead in the quest to establish Ithala as a first-class development finance institution. Zwane's academic qualifications included a Master of Business Leadership; B Com Accounting; a University Education Diploma and she was a Certified Associate of the Institute of Bankers in South Africa. When asked her perspective on the finest international example of a development finance institution, her immediate response was: "The International Finance Corporation (IFC) whose vision it is to eradicate poverty and create prosperity in developing countries." This is very much aligned to Ithala's mandate of economic development and empowerment albeit in a provincial context. Zwane was instrumental in driving the Group's turnaround strategy, which included restructuring, realignment of the organisation and strengthening of institutional governance as top priorities. The results of this drive saw the institution receiving many accolades, including clean audit outcomes over three successive years. Under Zwane's leadership, Ithala has been upgraded into a state-of-the-art facility to accommodate customer needs. She passed on at the time when the Group was hard at work to ensure that Ithala receives a full banking license, which will enable the institution to compete with all other banks, including managing government accounts. The first phase of the banking license application was submitted to the South African Reserve Bank in November 2016 and every effort is being made towards obtaining a full banking license. Zwane's management philosophy was characterised by individual and team engagement. A single encounter with Yvonne Zwane revealed just how passionate she was about developmental issues and the growing influence of women in the country's economy. Her continued enthusiasm and vigour to lead, train, influence and motivate others was inspiring.